specifies the color of the fill. Pattern-color is any SAS/GRAPH color name. The _STYLE_ value specifies the appropriate color based on the current style. See Using Colors in SAS/GRAPH Programs. If no color is specified for a PATTERN statement, that is, if neither the COLOR= nor the CPATTERN= option is used, the PATTERN statement rotates the specified fill through each color in the color list before the next PATTERN statement is used. Note:ActiveX assigns colors in a different order from Java, so the same data can appear differently with those two drivers. specifies an image file that is used to fill one or more bars of a bar chart, as generated by the HBAR and VBAR statements of the GCHART procedure, and, in some cases, as generated by the HBAR3D and VBAR3D statements of the GCHART procedure. The format of the external file specification varies across operating environments. See the companion reference for your specific operating environment. Notes:When you specify an image file to fill a bar, the bar is not outlined. Also, the COLOR= and VALUE= options are ignored. If an image is specified on a PATTERN statement that is used with another type of chart, then the PATTERN statement is ignored and default pattern rotation is affected. For example, if you submit a PIE statement when an image has been specified in a PATTERN statement, the default fill pattern is used for the pie slices, with each slice in the pie displaying the fill pattern in the same color. For DEVICE=ACTIVEX and DEVICE=ACTXIMG, the IMAGE= option works for the VBAR and HBAR statements as well as the VBAR3D and HBAR3D statements. For all other devices, the IMAGE= option works only for the VBAR and HBAR statements. the blocks in block maps produced by the BLOCK statement in the GMAP procedure. (The map area from which the block rises takes a map pattern as described in the option VALUE=map/plot-pattern .) See also About Block Maps and Patterns. 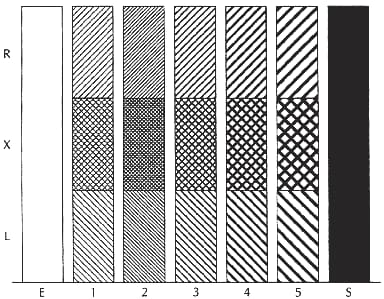 Density specifies the density of the pattern's shading. Specify a number from 1 to 5. The number 1 produces the lightest shading and 5 produces the heaviest shading. specifies an empty pattern. EMPTY or E are also valid aliases, except when used with the map areas in block maps created by the GMAP procedure. specifies a solid pattern. SOLID or S are also valid aliases, except when used with the map areas in block maps created by the GMAP procedure. specifies parallel lines (the default). Angle specifies the angle of the pattern lines. Specify a number from 0 to 360. The number specifies the degrees at which the parallel lines are drawn, measured from the horizontal. By default, angle is 0 (lines are horizontal). Note:Mdensity<style<angle>> is not supported by the Java or ActiveX device drivers. specifies an empty pattern. EMPTY or E are also valid aliases. specifies a solid pattern. SOLID or S are also valid aliases. Angle specifies the angle of the pattern lines. Specify a number from 0 to 360. 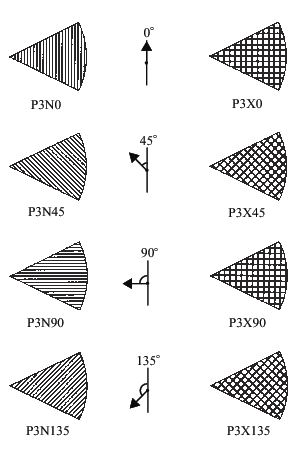 The number specifies the angle of the lines, measured in degrees from perpendicular to the radius of the slice. By default, angle is 0. Note:Pdensity<style<angle>> is not supported by the Java or ActiveX device drivers. Note:If you use hatch patterns and request a legend instead of slice labels, the patterns in the slices are oriented to be visually equivalent to the legend. In addition, the SYMBOL statement and certain Annotate facility functions and macros can use pattern specifications. For details, see the SYMBOL Statement and Using Annotate Data Sets. PATTERN statements generate one or more PATTERN definitions, depending on how the COLOR=, VALUE=, and IMAGE= options are used. For information about PATTERN definitions, see Working with PATTERN Statements, as well as the descriptions of COLOR=pattern-color | _style_, IMAGE= fileref | “external-file”, and VALUE=map/plot-pattern . In general, the default pattern that SAS/GRAPH uses is a solid fill. The default colors are determined by the current style and the device. 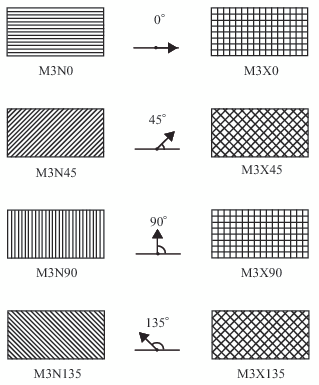 For a description of these options, see Graphics Options and Device Parameters Dictionary. how many times to apply the statement before using the next one (REPEAT=). See Displaying Images on Data Elements for information about filing the bars of two-dimensional bar charts with images using the PATTERN statement. Whether you use PATTERN statement options alone or with each other affects the number and type of patterns your PATTERN statements generate. Depending on which options you use, you can explicitly specify every pattern used by your graphs or you can let the PATTERN statement generate a series of pattern definitions using either the color list or the list of default fills. By default, the fill type is SOLID. Including the COLOR= option in the PATTERN statement is the simplest way to assure that you get exactly the patterns that you want. When you use the COLOR= option, the PATTERN statement generates exactly one PATTERN definition for that statement. If you also use the REPEAT= option, the PATTERN definition is repeated the specified number of times. In this case, the PATTERN statement rotates the R3 fill through all the colors in the color list. For more information about pattern rotation, see Understanding Pattern Sequences. Note: If you specify a fill that is inappropriate for the type of graph that you are generating (for example, if you specify VALUE=L1 in a PATTERN statement for a choropleth map), SAS/GRAPH ignores the PATTERN statement and continues searching for a valid pattern. If it does not find a definition with a valid fill specification, it uses default patterns instead. See also the description of CPATTERN.